Richard L. Dunn provides advice and engages in research and analysis related to the deployment and implementation of technology in the military and civil sectors through partnering and other innovative means; he conducts research in national security operations, technology and their interactions; and, analyzes laws, policies and practices that impact the effective implementation of technology. He is founder and consultant at Strategic Institute for Innovation in Government Contracting. He served as Expert-Consultant at National Defense University, 2016–2017. Pro bono work has included appointment to several study groups of the National Academy of Science and Defense Science Board. He serves as a trustee of the Chesapeake Environmental Protection Association. 2000-2007: Senior Fellow/Visiting Scholar at the University of Maryland. This appointment was in the Department of Logistics, Business and Public Policy, R.H. Smith School of Business. Scholarly research was the primary emphasis of this position as well as teaching and related activities. Research included an eclectic mix of implementation of technology and historical national security studies. 1987-2000: Appointed as the first General Counsel of DARPA. He organized the office and provided a full range of legal services for the nation’s foremost national security research and development agency. 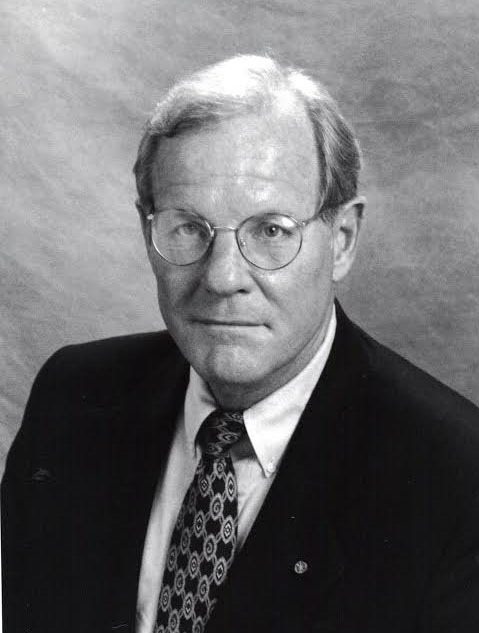 Mr. Dunn pioneered innovative techniques to support science and technology projects by championing the enactment of legislation that authorized DARPA to enter into cooperative relationships with commercial companies or “partnerships” of companies and other organizations. Other pioneering efforts involved obtaining authority to conduct prototype projects outside the normal contracting statutes, Other Transactions, and special authority to recruit and pay scientists and engineers without regard to Civil Service laws. Additionally, he championed and obtained authority to award incentive prizes to spur technology developments. All these authorities are in use and have served as models for other agencies. Awards include the Presidential Rank of Meritorious Executive and the Secretary of Defense Medal for Meritorious Civilian Service. 1980-1987: Served in several positions at NASA including Counsel to the Space Commercialization Task Force and Deputy Associate General Counsel. He worked at NASA Headquarters where his areas of responsibility included personnel law, information and privacy law, real estate and facilities, fiscal law and legislation, and a variety of other matters. 1979-1980: Private practice of law with the Washington law firm of Sullivan and Beauregard. Primary practice areas were government procurement, construction contracting and asbestos litigation. 1970-1979: Judge Advocate in the United States Air Force. Served in the United States and Turkey including duty as a base staff judge advocate (chief legal officer) and deputy staff judge advocate of an Air Division. Tried numerous courts martial and administrative discharge cases. Served as the Air Force’s Washington area labor/personnel law counsel, engaged in civil litigation and a wide variety of administrative law matters including procurement, and, adjudication of medical malpractice and other claims. Awards include Air Force Meritorious Service Medal. Member, editorial advisory board of the “Government Contractor” magazine. He has contributed articles including featured articles to that publication. Graduate and Continuing Education Courses taught, include “America’s Innovation System” (U. Maryland MBA course which he created), “Law and Technology Policy” (U. Maryland MBA course), continuing education courses on grants and other transactions; task order contracts; and, government-wide schedule contracts. Provided legislative testimony: For example, to U.S. Congress, House Science Committee (1995); Maryland State Senate, Committee on Environment (2012). Also participated in legislative workshops and had numerous less formal contacts with members of Congress and Congressional staff members on legislative matters. Invited speaker at conferences of numerous industry associations, companies, and government organizations. These have included the National Academy of Sciences, National War College and American Bar Association among other organizations. He has been quoted in the Wall Street Journal, New York Times, Government Executive magazine and other publications. Active in the Air Force Reserve and Air National Guard at Andrews Air Force Base and Martin State Airport (1979-1991). Duty included service as Staff Judge Advocate of the 175th Tactical Fighter Group. Awards include the Air Force Meritorious Service Medal and Maryland State Commendation Medal. Contractual Mechanisms In Support of Commercial Space Activities published in the “Air and Space Lawyer” (1984) describes inter alia space commercialization activities in which he was directly involved. Several additional articles have appeared in the “Air Force Law Review” and other publications. Mr. Dunn has been acknowledged for contributions to several research studies by the National Research Council, RAND, Institute for Defense Analyses, Potomac Institute for Policy Studies and other organizations. Mr. Dunn’s research papers, Injecting New Ideas and New Approaches in Defense Systems: Are Other Transactions an Answer? (2009), Contractors in the 21st Century “Combat Zone”, (2005), and Contractors Supporting Military Operations (2006) were selected for presentation at the Naval Postgraduate School’s annual Acquisition Research Conferences. Mr. Dunn is a primary author of Strategy for an Army Center for Network Science, Technology and Experimentation (National Academy of Sciences, 2007). His groundbreaking article The Search for General Walker: New Insights was published in Air Power History (2014). His book Exploding Fuel Tanks – Saga of the Technology that Changed the Course of the Pacific Air War (2011) is an addition to his many articles on military history which have appeared in referred journals and popular publications. Many are available on-line at warbirdforum.com, j-aircraft.com, and other websites including explodingfueltanks.com. Christian has directed the marketing for government conference and education companies; The Performance Institute and National Conference Services Inc., and enterprise software provider Public Sector Solutions. He has also performed independently as a marketing/management consultant and special event organizer. Prior, he worked in non-profit management and development at Opportunity Builders, Inc. and Joseph’s House. Additionally, he has been successful in residential real estate sales and investing. Christian holds a Bachelor of Science from Towson University. Alayne joined the Institute after working in the development office at Flagler College. Previously she held positions as a Staff Accountant at Johns Hopkins Health System and NCO Portfolio Management. Prior to accounting, she worked in customer relations and training for Cvent and Careerbuilder.com. Alayne holds a Bachelor of Science from the University of Baltimore.